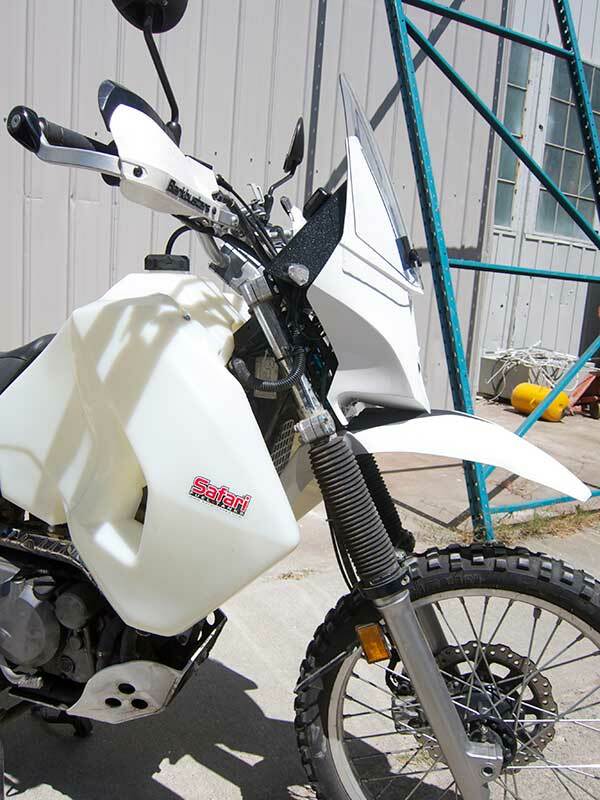 Lynx Dual Sport Fairing – Kawasaki KLR 650 – Britannia Composites Ltd. 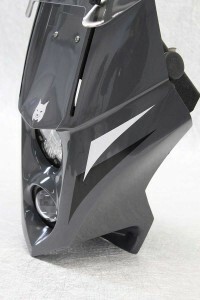 The Lynx R & Lynx S adventure fairings are the latest versions of our popular Lynx series steering based fairings aimed at smaller to medium sized motorcycles. 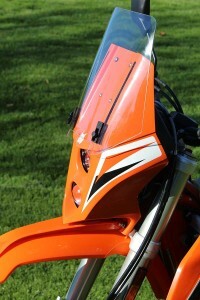 They share the same design brief to provide a cockpit system to match or exceed the features normally found on much larger motorcycles, whilst maintaining the benefits and versatility of the much smaller machines now favoured by many adventure riders. Both fairings are identical in function and price and share the same options, differing only in design style. At the heart of the design is a strong and rugged fairing shell, which is not just the outer bodywork of the fairing, but also a major structural part of the assembly, allowing significant saving in weight and complexity. 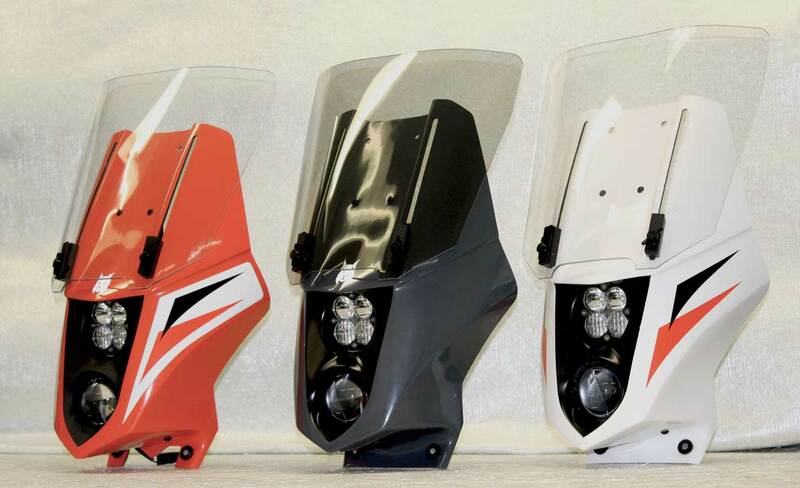 The Lynx fairing uses our unique sliding screen system that allows the screen to be adjusted to suit various riding conditions and retracts out of the way for off road riding. There are two different screens available, a larger Touring screen and a smaller Sports screen aimed at different riding styles and conditions. 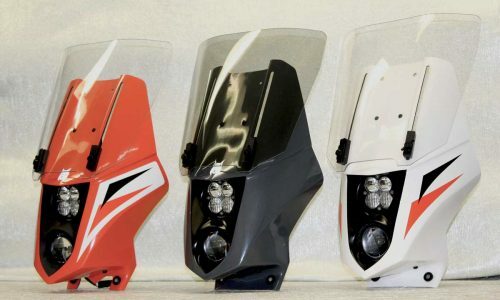 Designed to offer significant wind and weather protection and retracts down out of the way for off road riding but is aimed at riders who spend a considerable amount of their riding on the pavement at speed. Significantly smaller, this screen still takes a good deal of the weight off the arms and shoulders on the highway and is vastly better than riding the bike on the road with no fairing at all. 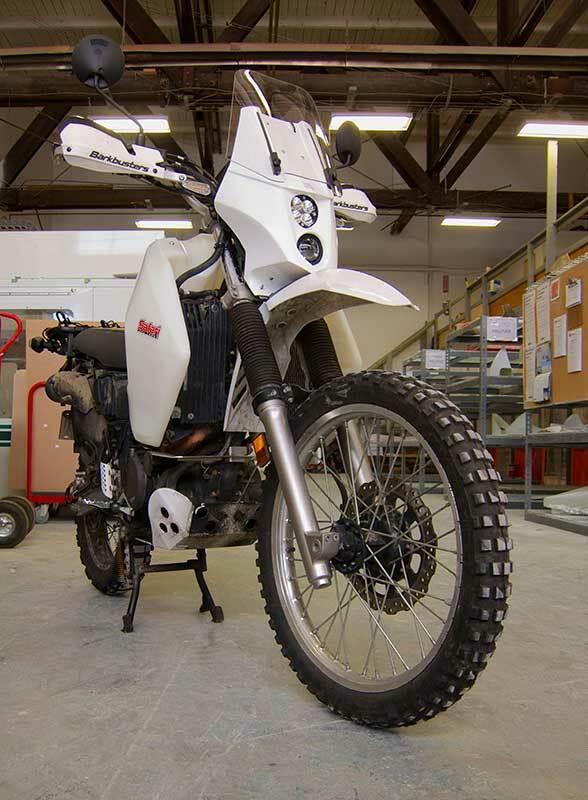 This screen is much more compact for off road riding and less vulnerable to breakage as well as being significantly lighter. 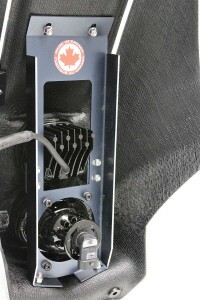 Each Lynx kit includes a choice of either Sports or Touring screen. 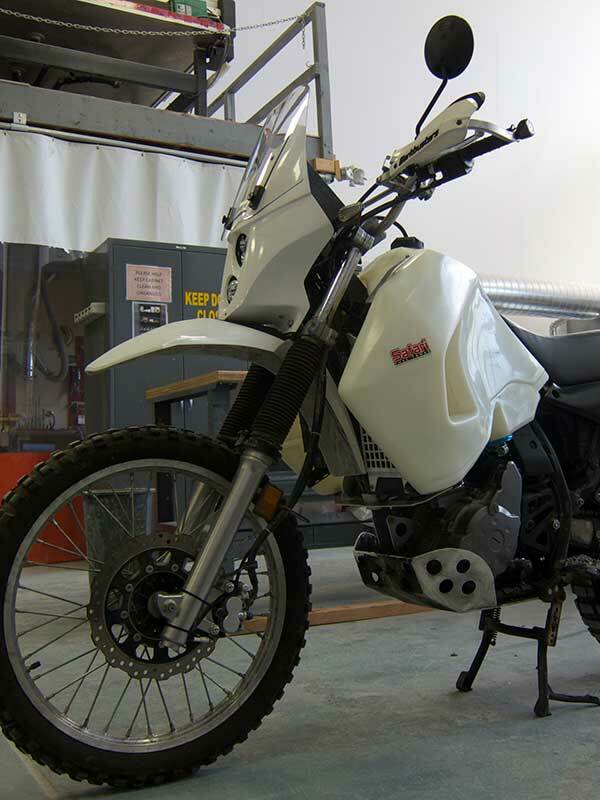 However many will use their motorcycles across a range of different conditions, or owners may be unsure which screen is best for them. For this reason, we are offering a special discounted price at the point of ordering to have both screens. 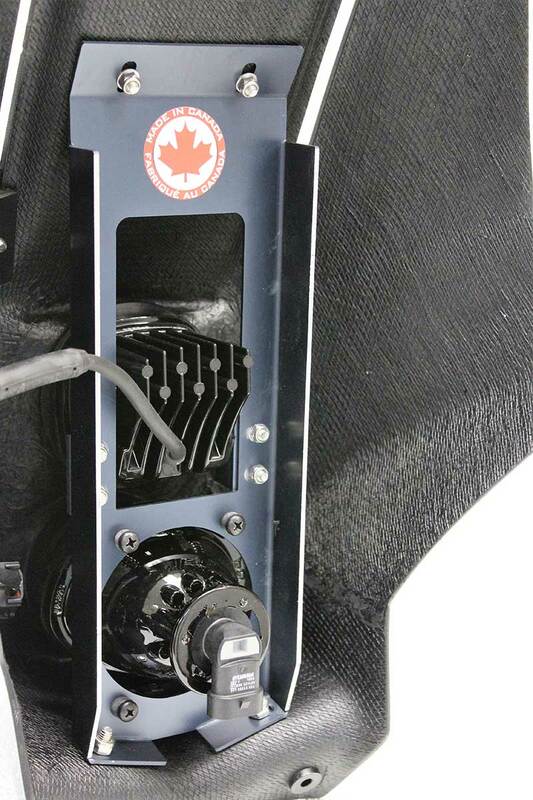 The dashboard functions as both a display area and as a structural brace for the fairing. It has sufficient area to accommodate the OEM instruments and additional items like a GPS. 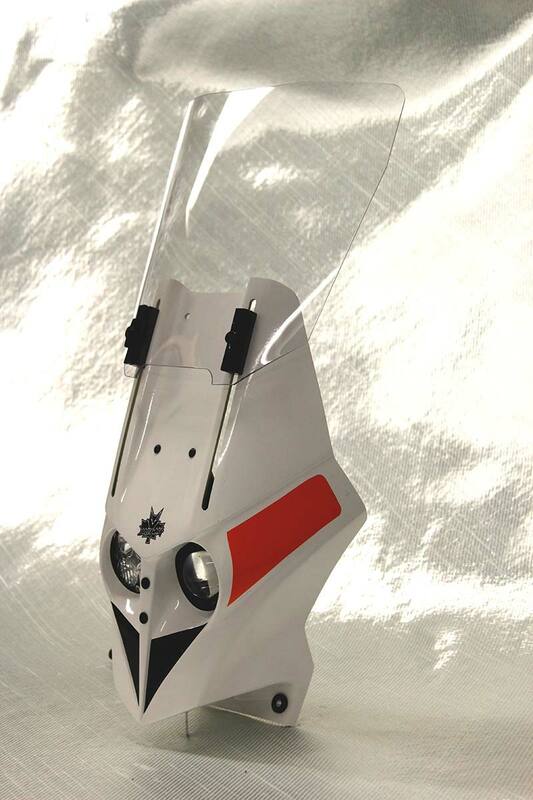 Each Fairing kit includes a variety of decal styles, so you can create your own unique design to suit your own look. 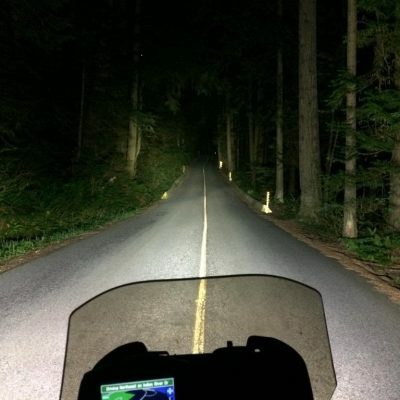 Small motorcycles have always suffered from a lack of ‘real world’ lighting often as a result of having low output electrical power. However, this is not the case with the Lynx and for 2017 we have further enhanced the lighting function by introducing a dimmer to the High Beam lamp. This means that when switched to low beam, not only is the low beam lamp on, but the High Beam lamp is also lit to 20% of full power. 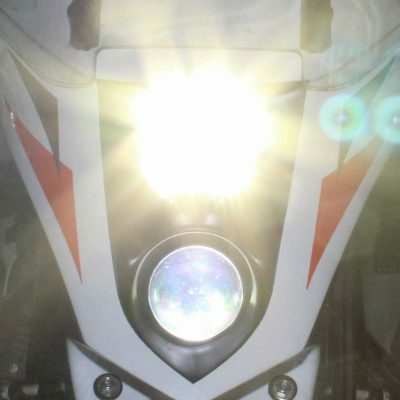 This significantly improves the motorcycles visibility to other traffic in the daytime and also contributes further light at night during low beam operation. 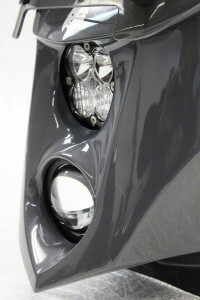 When the High beam is switched, the powerful High beam lamp returns to full power. 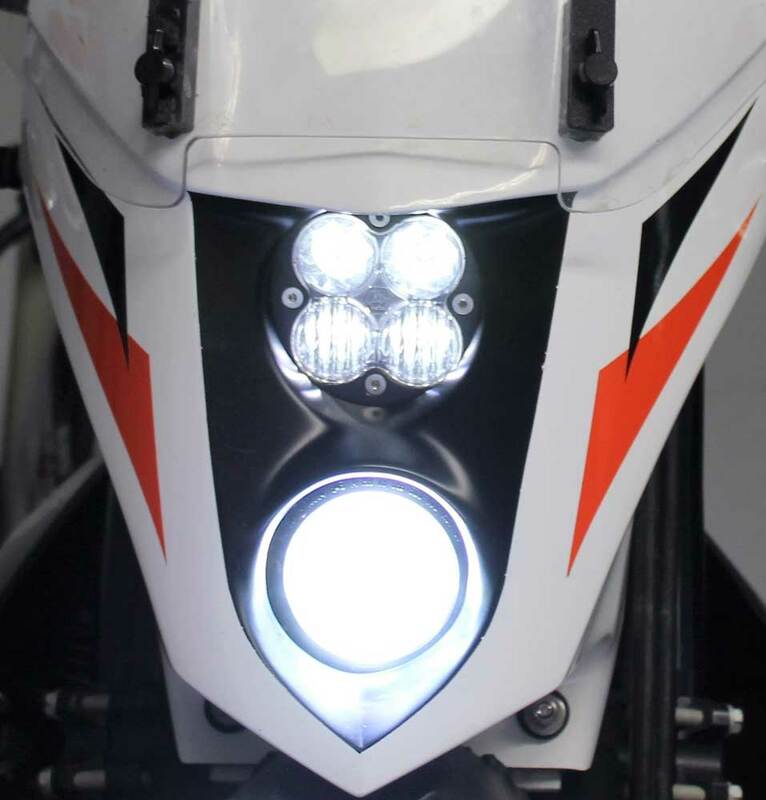 30w / 20w LED combination New for 2016, this is the ‘standard’ lighting option and is suitable for most riders. 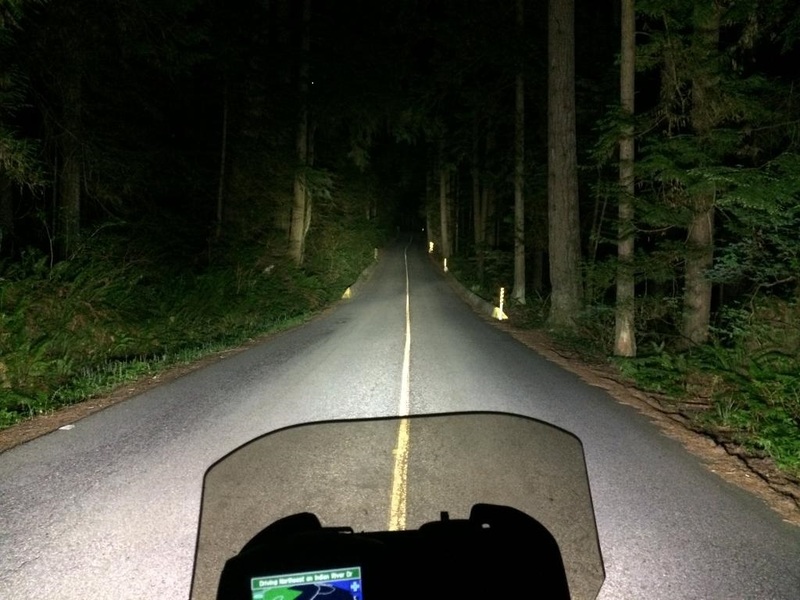 The low beam unit is powered by a new and powerful 30w LED bulb supplied to us by Cyclops Adventure Sports and produces an impressive 4000 lumens of light. 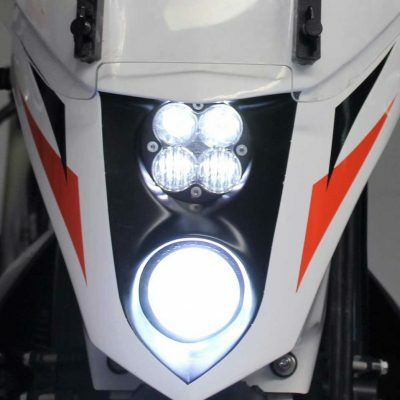 Paired with the superb Baja Designs 20w Squadron Sport High beam, together this lamp combination produces 5900 lumens of light. 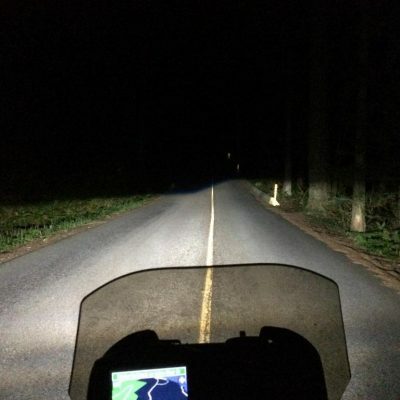 Not only is that over 3 times more powerful than any OEM headlamp, they also use less power than any headlamp they are replacing. 30w / 42w LED combination Is there such a thing as too much light ? 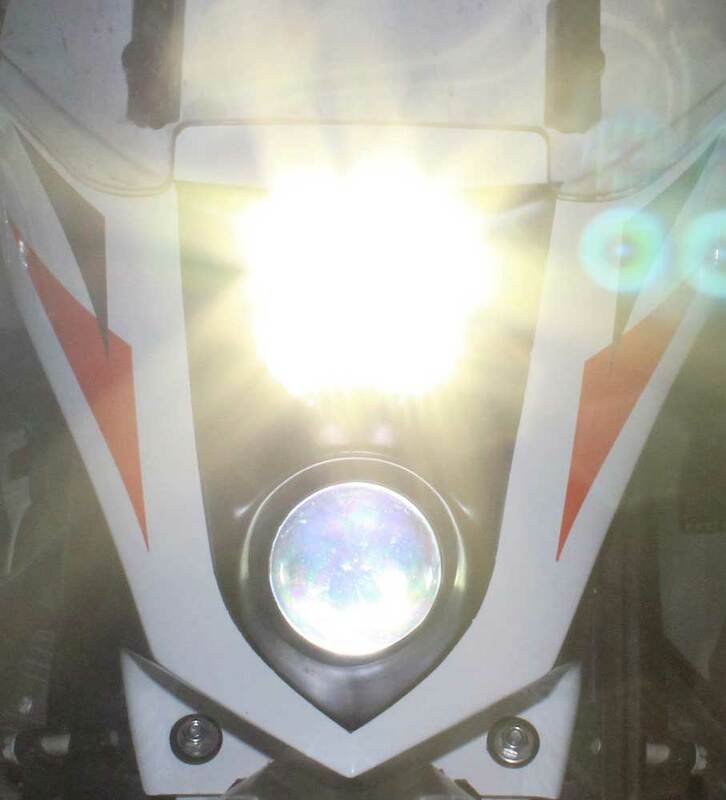 Probably not, but this 8300 lumen, high output combination raises the bar to the point where riding at night becomes simply fun and safe ! 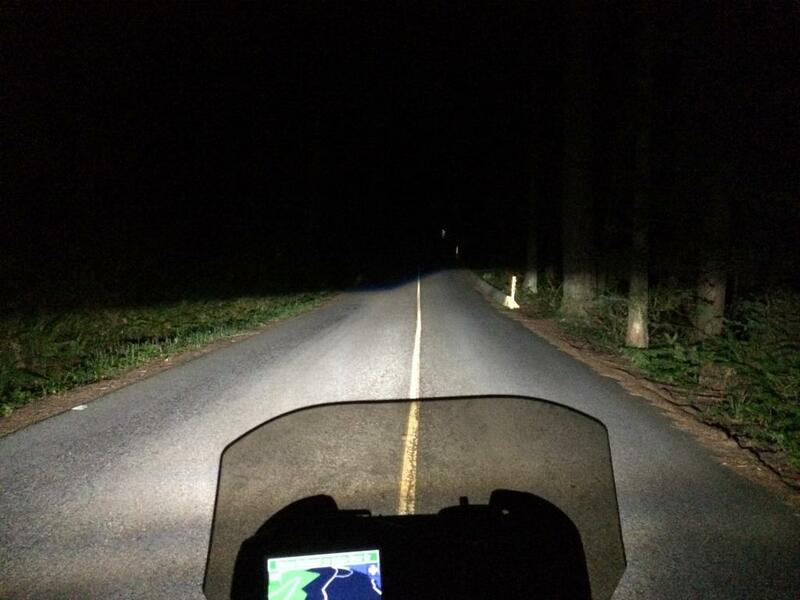 Choose this option if you like lots of light and particularly if you like to ride off road at night. 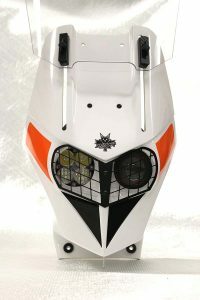 Adding this feature creates a different look to the fairing by highlighting the shape of the headlight surround and complimenting the decals included with the kit. The Lynx headlights are very resistant to stone damage but this grill offers further protection whilst also enhancing the look of the Lynx S.
It has always been a feature of the Lynx series fairings to be able to mount a GPS on the dashboard for a neat, protected mounting location. However, whilst this works well for riders sat down on the highway, it is not as easily visible when stood on the pegs, off road. 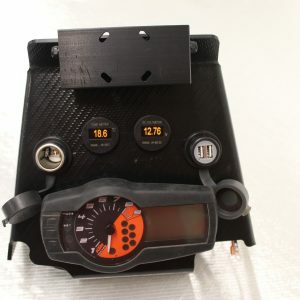 Furthermore, the GPS uses a large area of the dashboard and can often leave very little room for other switches and instruments on the face of the dashboard. 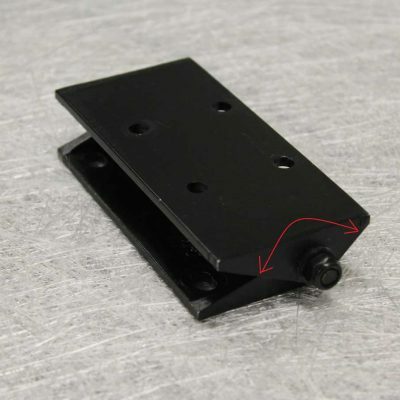 This new, variable angle GPS mount has the benefit of mounting much higher on the dashboard which not only brings the GPS into the riders’ eye line when stood, but releases a lot more space on the dashboard for other items. 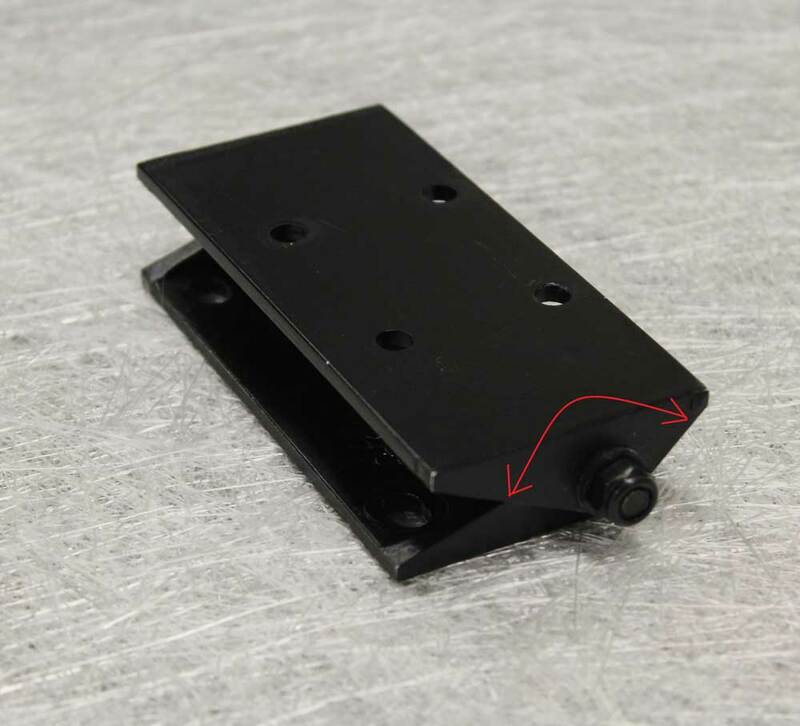 Changing the angle is ‘tool less’ and easily done on the fly. 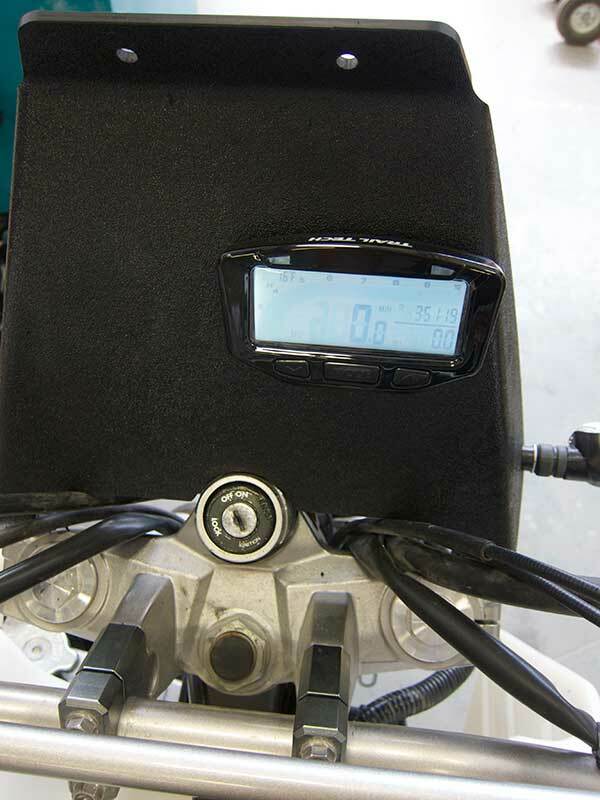 New for 2017 is a complete range of power sockets and gauges to enable you to fully complete the Lynx cockpit for your adventure motorcycle. 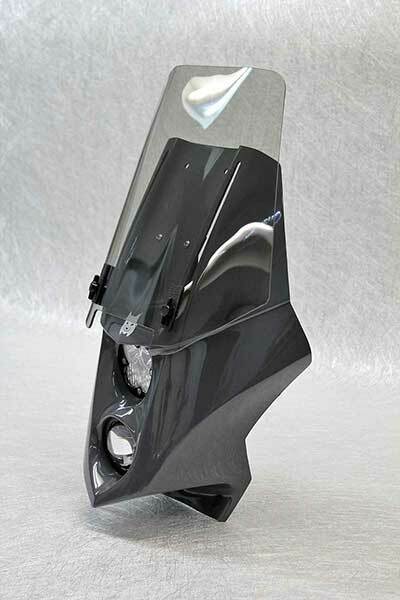 All of these items are Marine Grade to handle environment your motorcycle is likely to face. 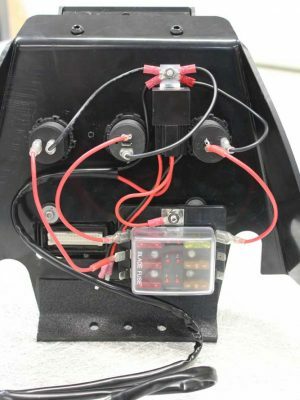 At the centre of this system is a new 4 position fuse box which comes complete with a wiring harness to power the fuse box from the battery. 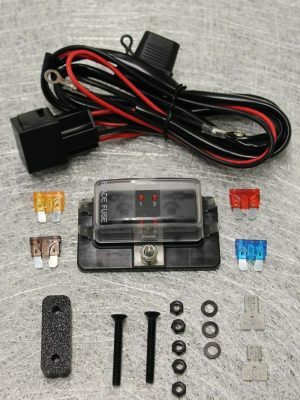 This allows all cockpit accessories, whether obtained from us or not, to be powered from one central point and makes a very neat and tidy installation without splicing into the motorcycles OEM wiring. 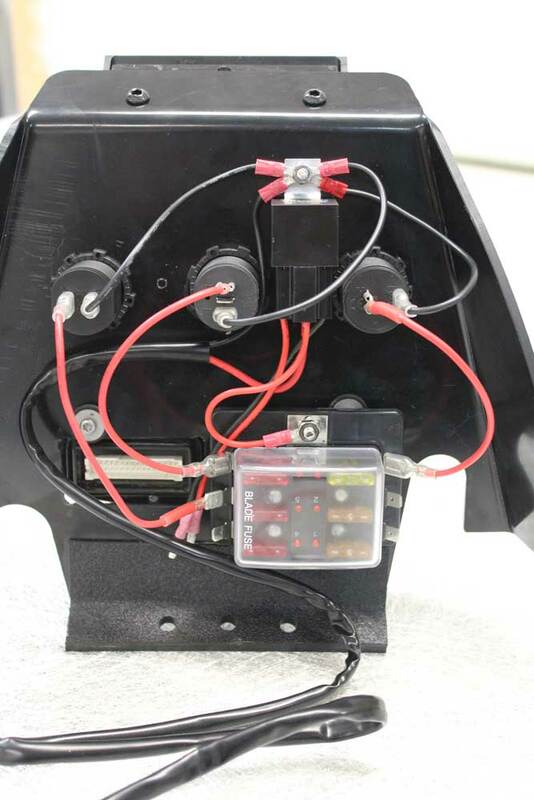 The fuse box harness relay is activated when the ignition is switched on and the wiring is entirely ‘plug ‘n play’. 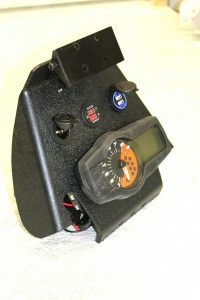 The kit includes double terminals to expand the fuse box to 8 terminals. 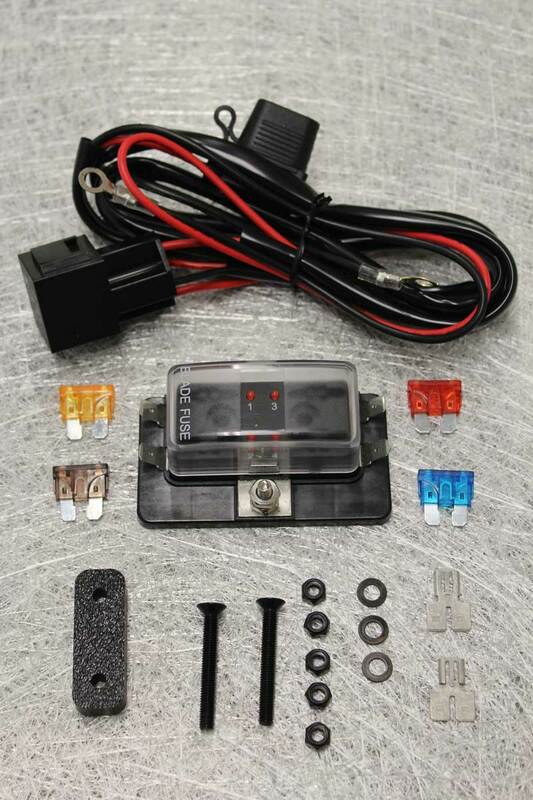 All of our power sockets and gauges use the same 1-1/8th sized hole to make the installation easier and for a neat look and each comes with the wiring to make a complete plug ‘n play installation with the fuse box. 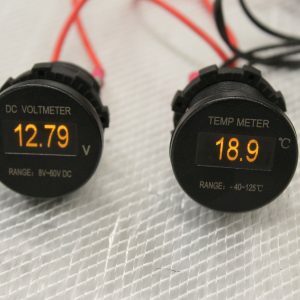 This voltmeter is an effective and economical way for your to keep an eye on your battery. 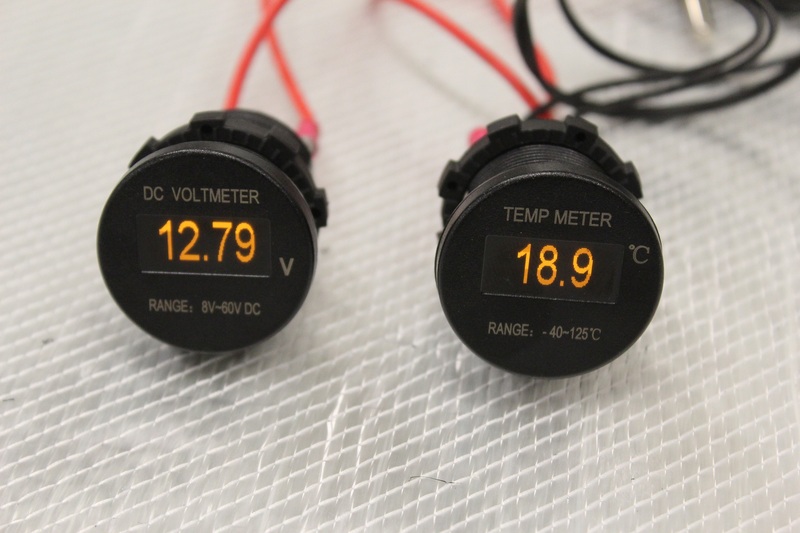 In addition, it will indicate whether you are pulling more from the battery than you should if the voltage drops below 12.5 volts. Very useful if you are exceeding your electrical power output. Where would we be these days without our electronic gadgets and if you are away overnight, you’ll need to be re charging them. 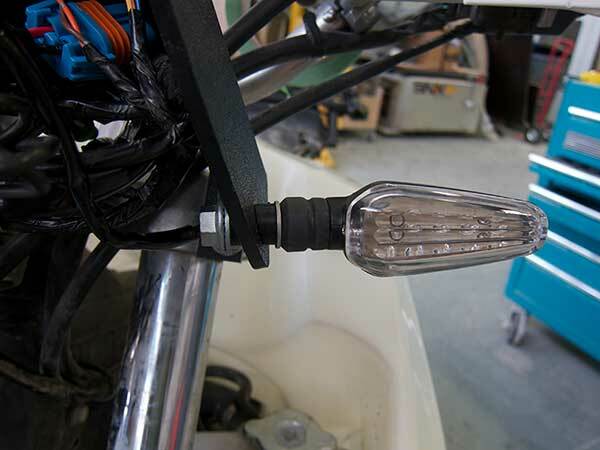 These very rugged and fully waterproof sockets are ideal for the harsh weather environment encountered with dual sport motorcycles. 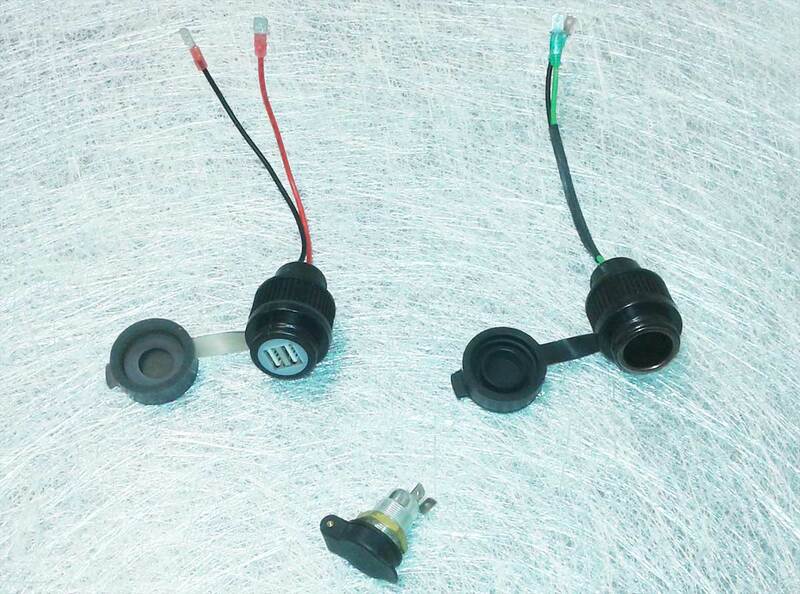 Introduced for 2016, this Lynx fitting kit fits both newer 2008 on model as well as the older 2007 and earlier model. 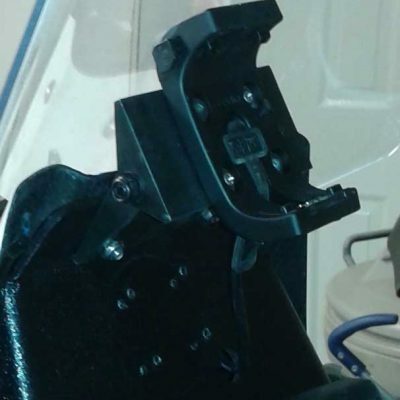 All hardware needed for installation is included in this kit and most of the installation work is focused on the fitment of the instruments onto the Lynx dashboard which is attached to the top triple clamps using brackets from the top triple pinch bolts. 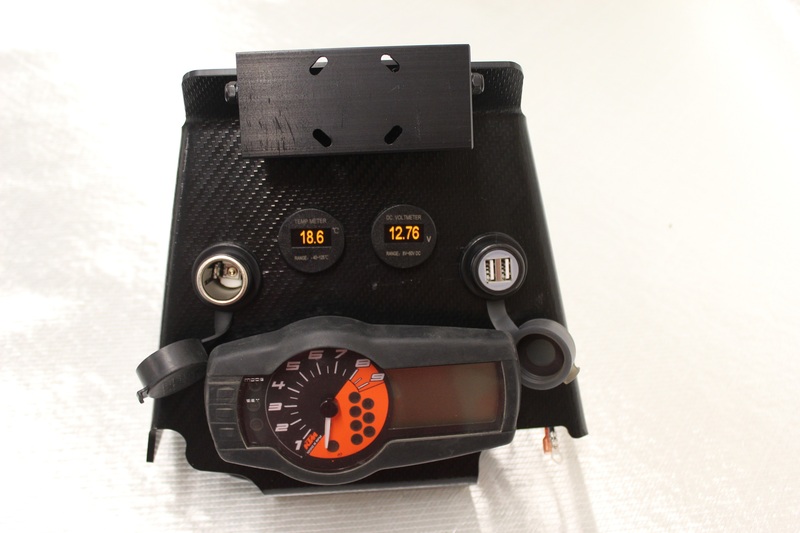 You will need to replace the OEM speedo instruments with a digital unit to use this kit. You will be removing the OEM headlight frame, lights and forward bodywork and the Lynx will fit with any aftermarket gas tanks. 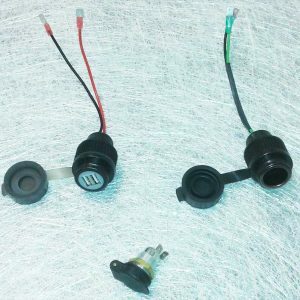 The OEM indicators can be relocated onto the sides of the Lynx dashboard, but we recommend fitting some smaller ones with this kit. 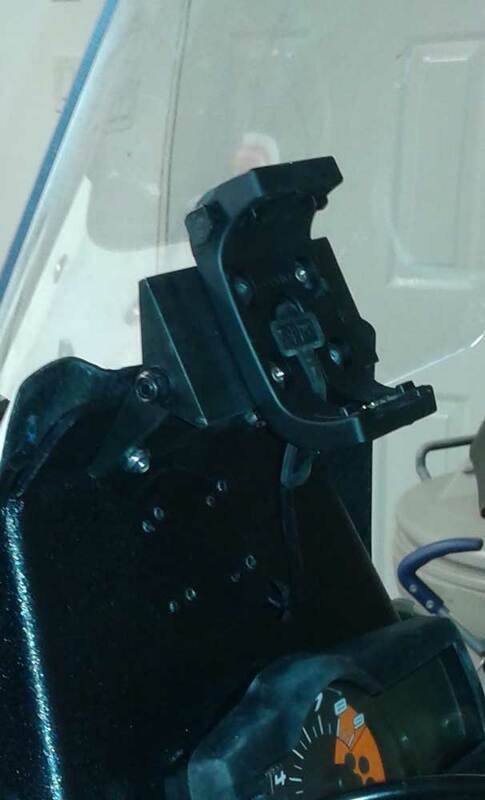 As with all Lynx kits, ample room has been left for the owner to install a GPS unit above the OEM instruments along with any other switches and sockets etc.